Night Owl chimed in with "Get rid of the yellow all together!" 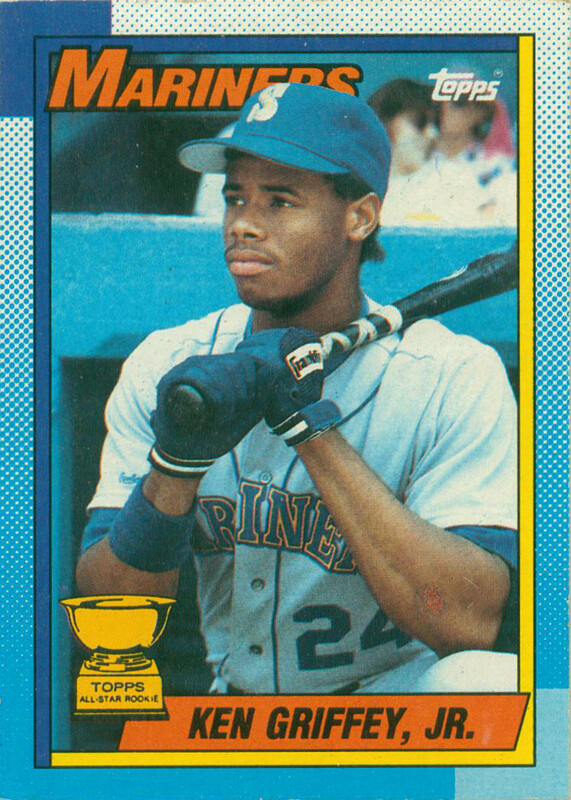 I guess '91 Fleer will never get any love from respected bloggers. Anyways, for this entry, I am returning to the Topps brand for some Frankenstein tinkering. As I've said before, I love redoing Topps cards because they are my favorite cards. While that statement may not make sense to you, it does to me. For if I truly did not like a design/card, it wouldn't be on the forefront of my mind like the Topps re-dos. As the post title suggests, I am adding my personal flair to the 1990 Topps release. I remember when these cards came out. I initially loved the set because it was much more colorful than the 1989 set, which I consider to be a drab design with awful photography. But as the years have passed, I am less and less in love with the 1990 design. I could never quite put my finger on it until recently. Originally I thought it was the wild color scheme, but I like that. 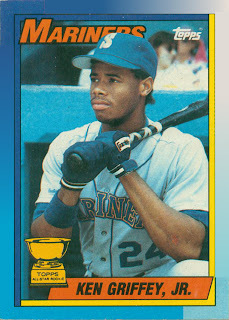 It is reminiscent of 1975 Topps, which proved borders do not need to match team colors even in the slightest! Then what is it about these cards, and then it dawned on me. It's the dots. The dot matrix-like print on the borders. When I look at these cards now, I am harkened back to yesteryear and can hear the whir and zips of the printer sliding across the paper. That's it, the dots have to go! The dots were erased and replaced with a nice smooth gradient flow. Something akin to what a laser printer would do today. So, I guess I have redesigned the card, just upgraded to a newer printer. Wow...that makes all the difference in the world. 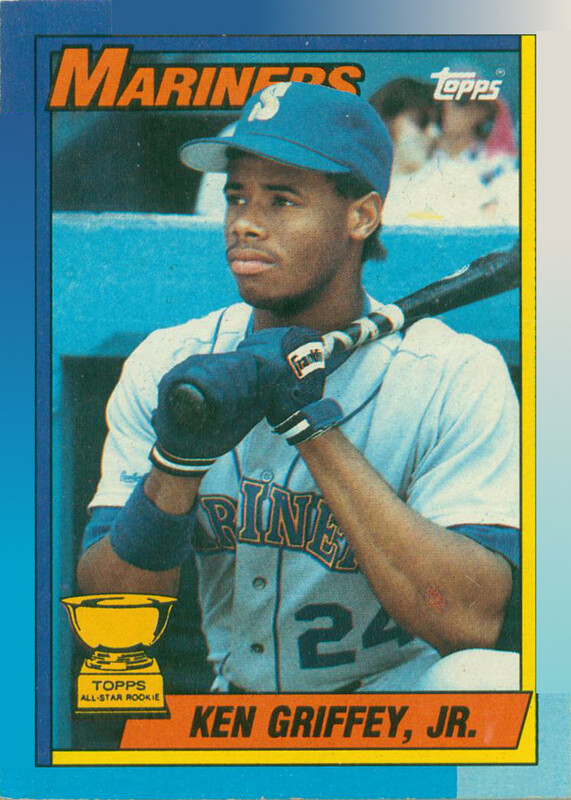 I personally like 1990 Topps, but I like your version even better.